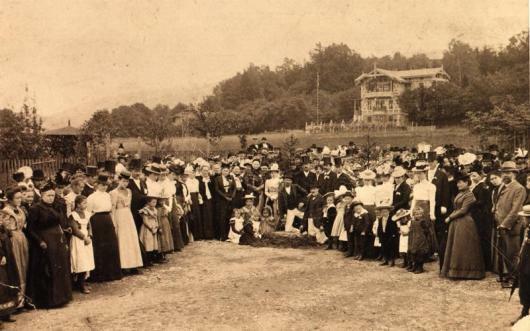 On 28 June of 1900, the laying of the foundation stone of the "Froebelhaus" was celebrated on a large property, 1700 m2 in size, provided by the city of Bad Blankenburg. 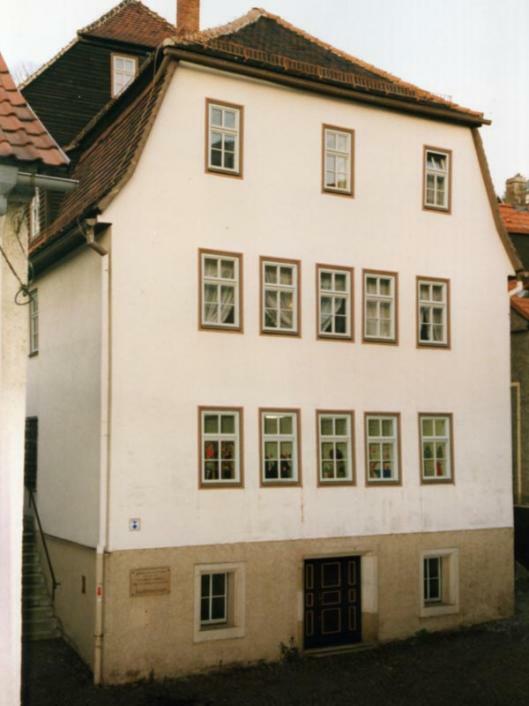 As late as in 1906, however, the town, represented by mayor Hermann Bähring, and Eleonore Heerwart, representing the public association of kindergarteners ("Allgemeiner Kindergärtnerinnen-Verein"), agreed upon co-financing the "Froebelhaus", which was yet to be built. 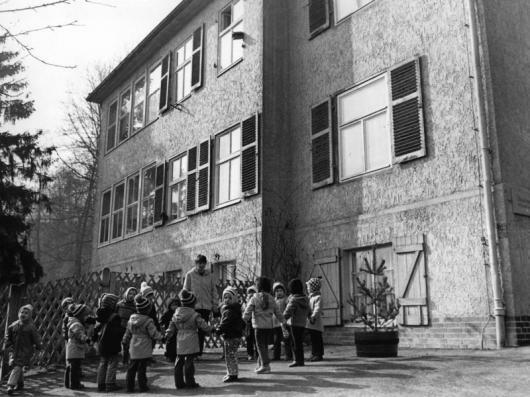 The inauguration of the "Froebelhaus" as kindergarten and place for rest and recreation for kindergarten teachers then followed on 6 August of 1908, preceding the set-up of a memorial room in August 1910. 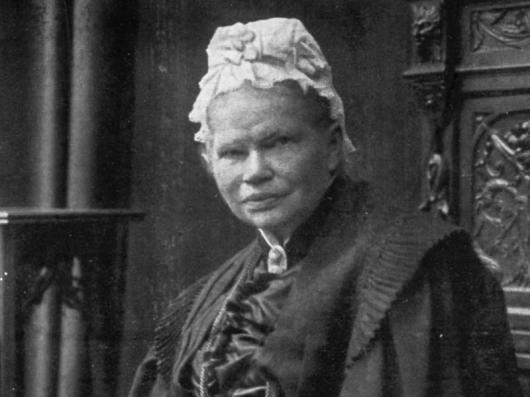 After her death in 1911, Eleonore Heerwart's assets passed into the ownership of the "Froebelhaus" foundation ("Froebelhaus-Stiftung"). 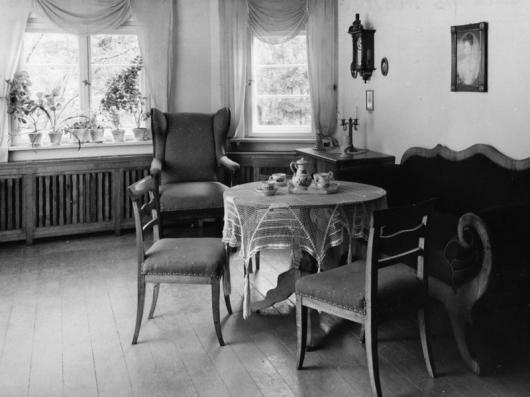 Furniture, writings and books out of the legacy of Froebel's widow Luise have, too, enriched the museum's stock since 1910 and 1911 respectively. 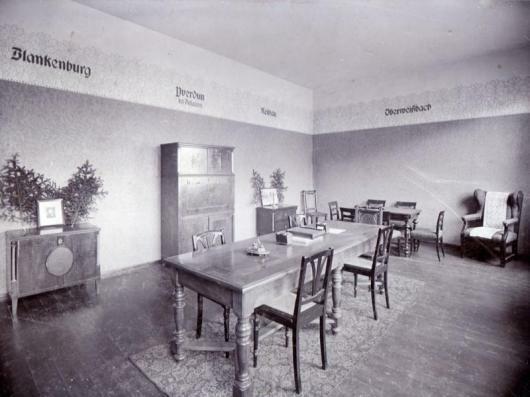 play room with Froebel's "Spielgaben" (gifts) and "means of occupation"
Since 1982, the Friedrich Froebel Museum has been situated at the authentic historical place, the "house above the cellar" ("Haus über dem Keller"), where, in 1839, Friedrich Froebel set up his "institute for playing and occupation" ("Spiel- und Bechäftigungsanstalt"), which later became his kindergarten. 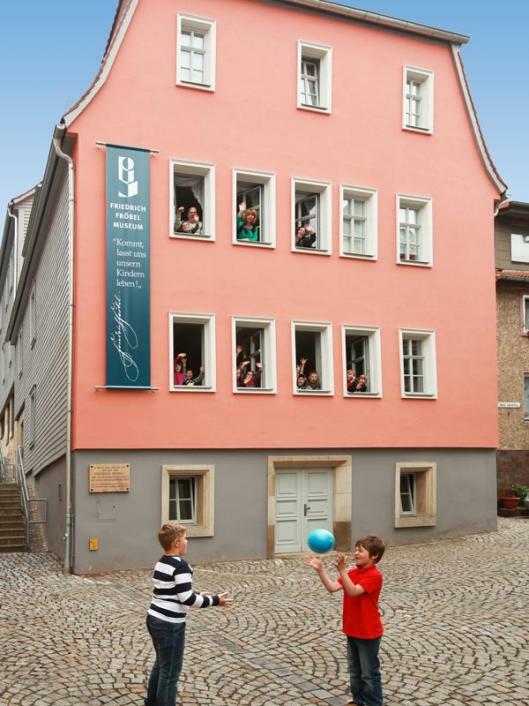 Due to the German reunification, the Froebel Museum was transformed to an open-minded community center. 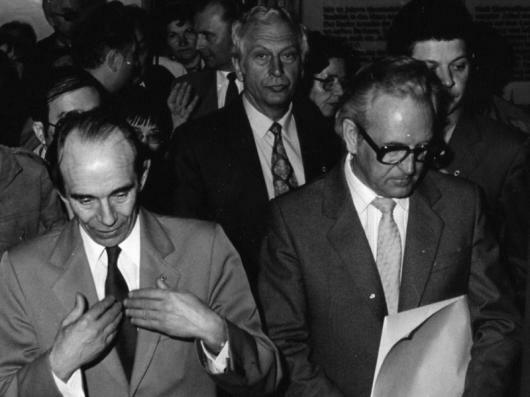 Even 100 years after the museum´s foundation, its cultural functions remain collecting, preserving, researching, publishing, exhibiting and educating. Especially since the museum has been publicly sponsored, it has been capable of doing justice to these functions.